Gary's Fidget Spinner made HackADay! 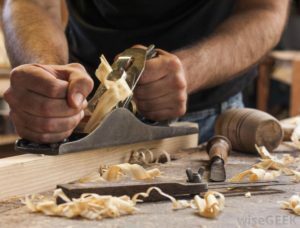 Wood working sessions to teach you everything you need to know to make a cutting board and beyond! Next class is Monday the 20th at 6:30pm! 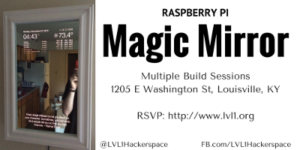 Ever wanted to create a Magic Mirror? Look no further than this build session! Q: What is a Magic Mirror? A: A Magic Mirror is a reference to a 2 way mirror with a LCD screen behind it displaying data via a web page. Q: Why would I want to build this? A: So you can learn, customize and build something great! Q: I don't know anything about a Raspberry Pi, should I attend? A: Yes, we will walk through with explicit directions on each step of the process. If you can follow directions & type, you can build this! Q: I want to build a bigger one, why would I want to build an 8"x10" one? A: We have to start somewhere, you can bring your own materials (LCD, glass, frame, etc.) and follow along if you want, but the directions we have may not apply 100% to you. Using all the same parts speeds the class. Q: I really want to attend, what do I do next? A: Just RSVP, we'll handle the rest.